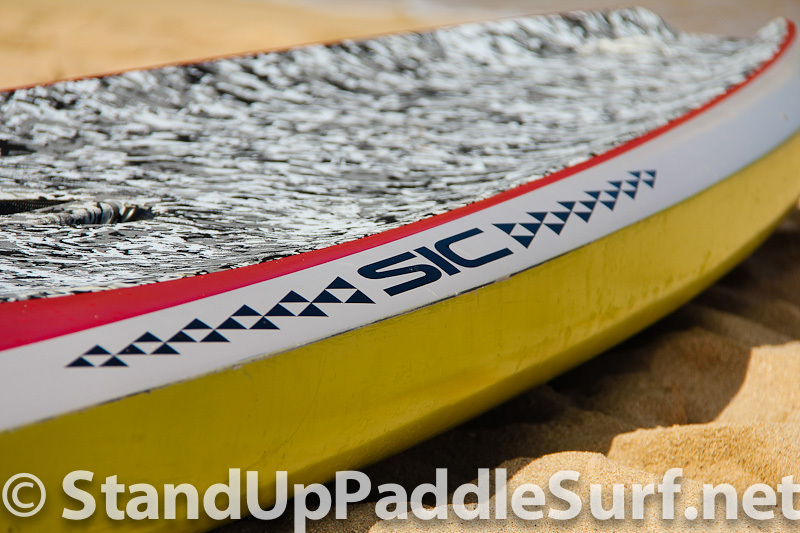 I caught up with Mark Raaphorst to show off some of the new SUP race boards for S.I.C.’s 2012 line. 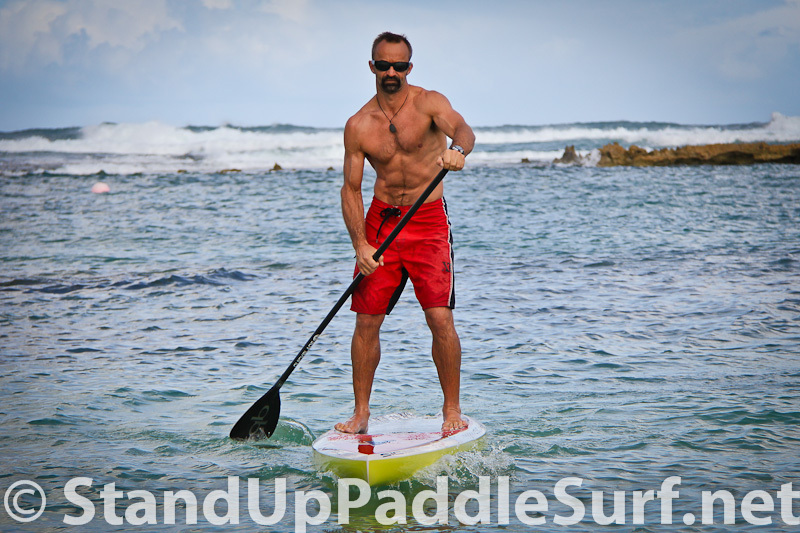 Mark was also our paddling model for the board demo video. 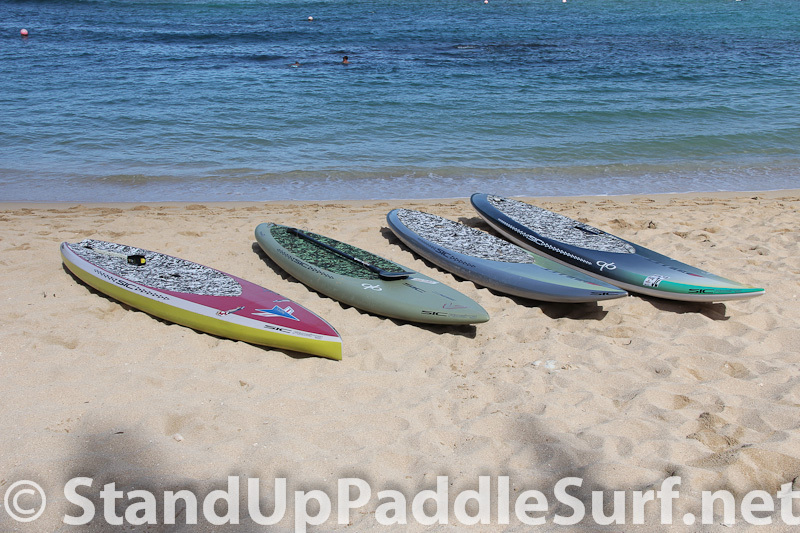 These were shot at Turtle Bay in the lagoon area. The 2012 X12 is for flat water racing. This board was really light and easy to carry around. The handle was redesigned and a big improvement over the handles offered today. 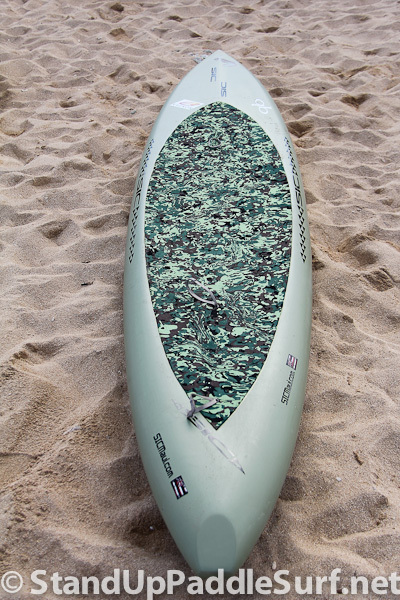 This board has a flat rocker, displacement type nose and recessed deck. The video has more info. 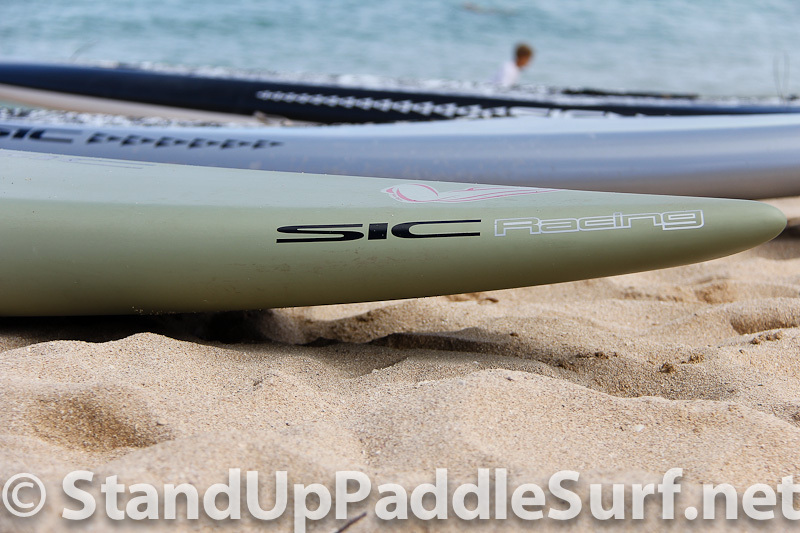 The Bullet 12 is the baby brother of the Bullet 14 and 17, my favorite SIC boards. 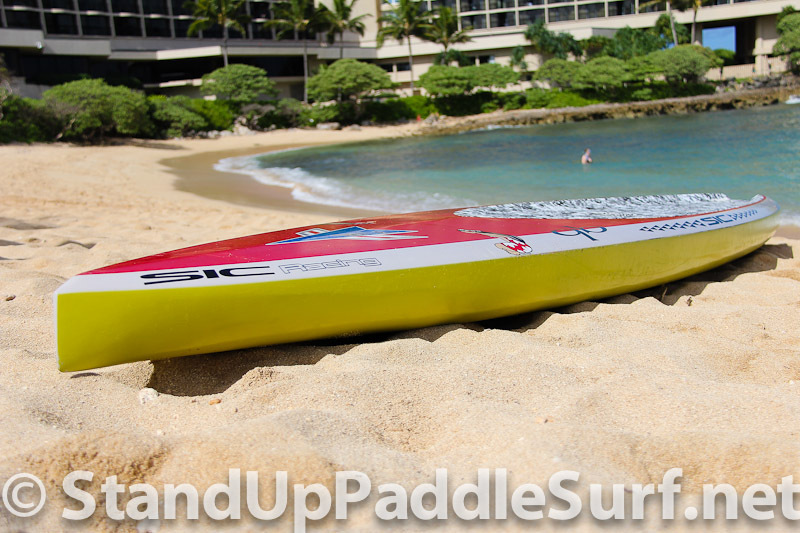 This board is designed for surf race and downwind conditions. I was especially impressed by the surfing capability of this board. 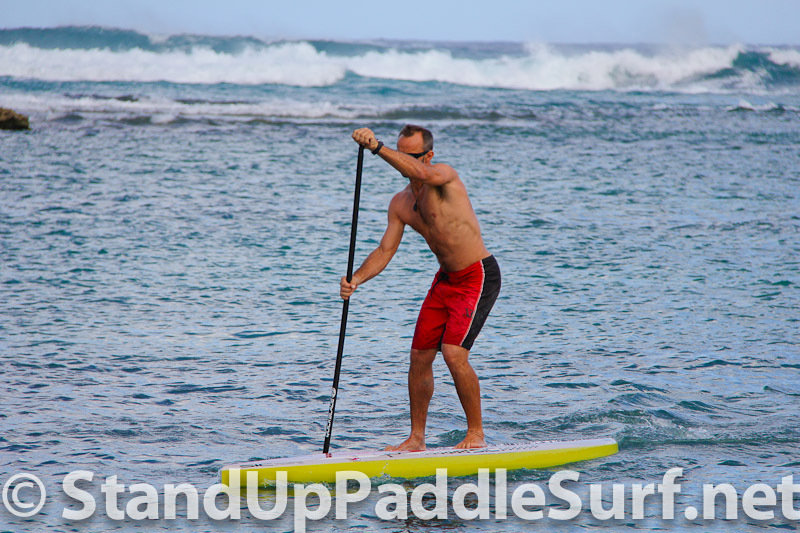 Mark surfed it at Turtle Bay in overhead North Shore Oahu conditions. You can see the pictures in the Bullet 12 post and gallery. I don’t think there will be any question of how it surfs after that. 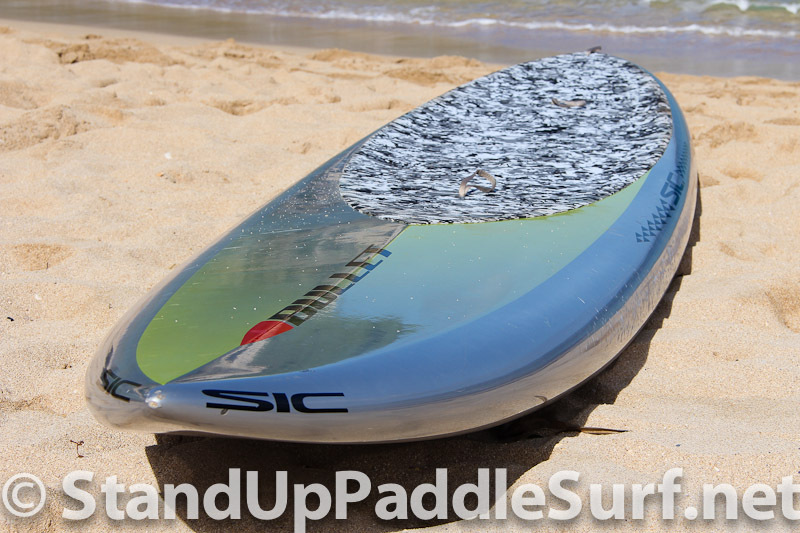 I ordered one with a steering system and plan to use it in smaller surf on the South Shore. I was also impressed with the weight of this prototype. It was really easy to move around. Very impressed by the new 2012 models. 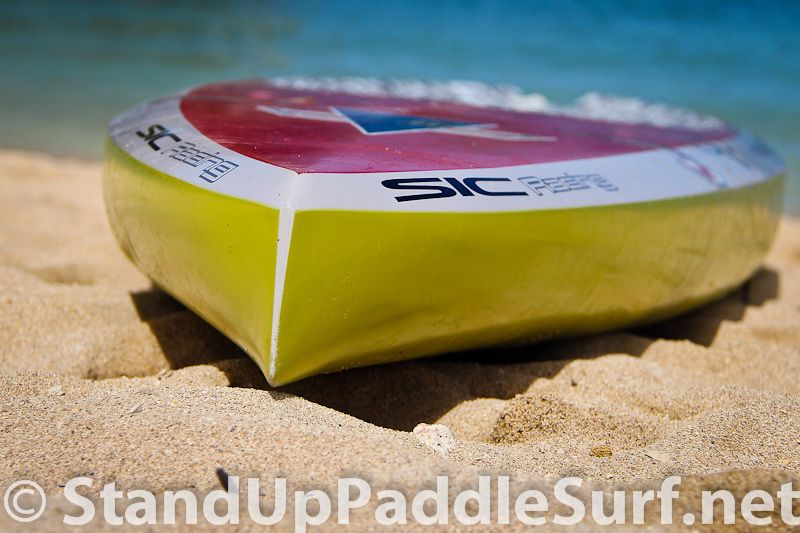 Wished SIC had a distributor in Tahiti, French Polynesia. 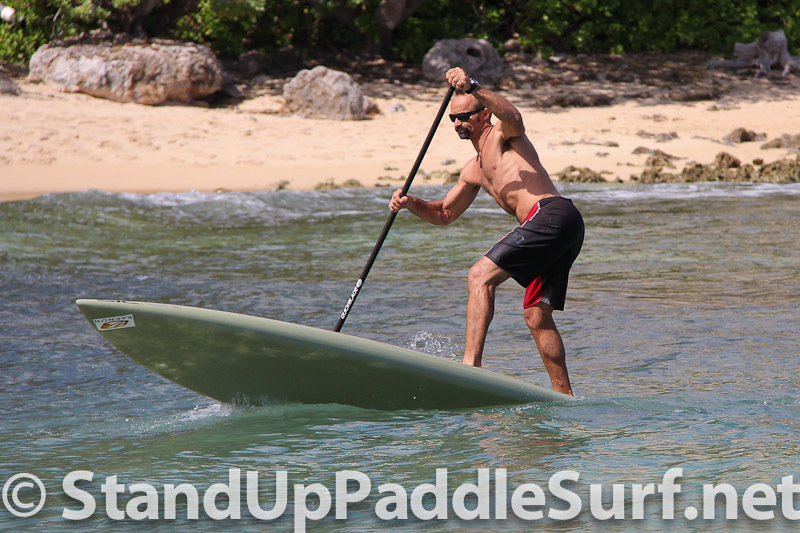 SUP is growing fast and in all its forms, battle, cruising on the lagoon, surfing and downwind. I believe it will grow much more. 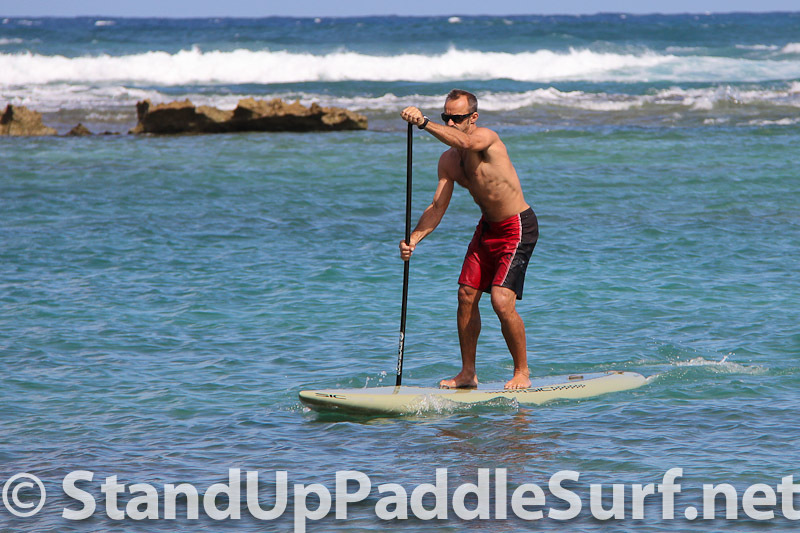 Our 120 islands, numerous lagoons and surf spots, consistant tradewinds, warm water, make it ideal for SUP activities. 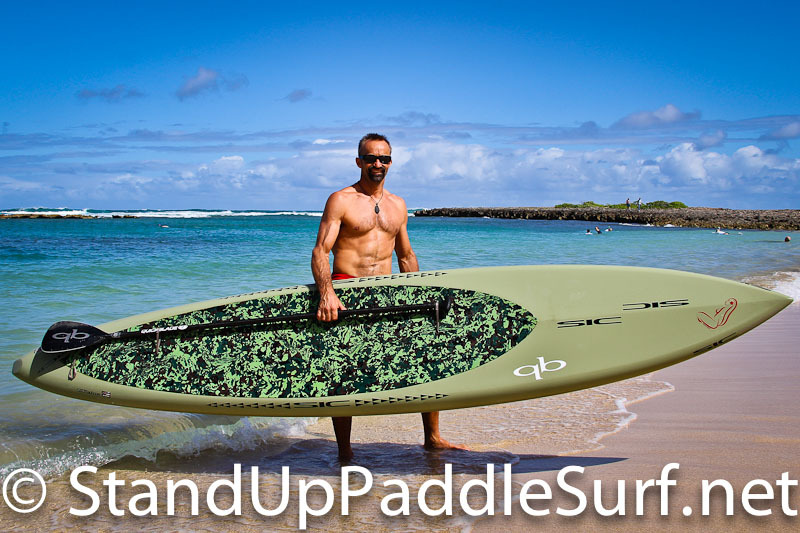 Local people are oceanminded and like most islanders we live by, on, for, with the ocean.